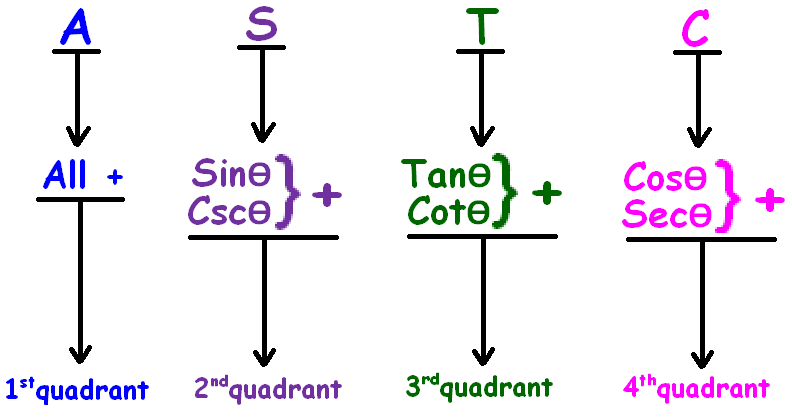 About "Trigonometric ratios of 270 degree plus theta"
Trigonometric ratios of 270 degree plus theta is one of the branches of ASTC formula in trigonometry. Trigonometric-ratios of 270 degree plus theta are given below. Let us see, how the trigonometric ratios of 270 degree plus theta are determined. From the above picture, it is very clear that the angle 270 degree plus theta falls in the fourth quadrant. 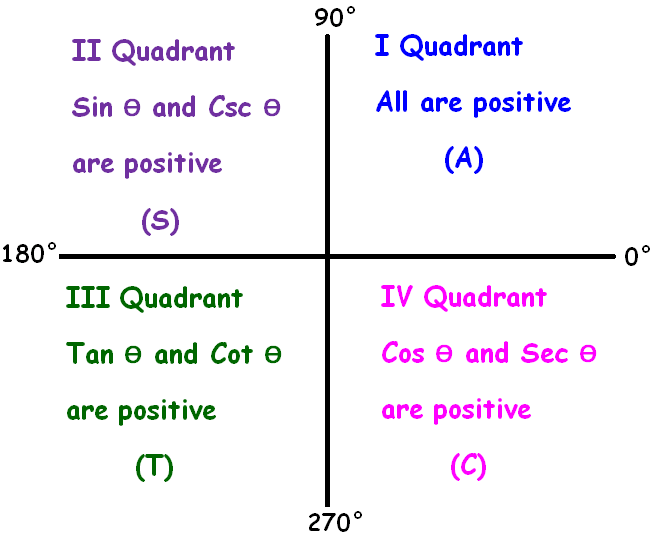 In the fourth quadrant (270° degree plus theta), cos and sec are positive and other trigonometric ratios are negative. To evaluate sin (270° + θ), we have to consider the following important points. (i) (270° + θ) will fall in the IV th quadrant. To evaluate cos (270° + θ), we have to consider the following important points. To evaluate tan (270° + θ), we have to consider the following important points. To evaluate csc (270° + θ), we have to consider the following important points. To evaluate sec (270° + θ), we have to consider the following important points. To evaluate cot (270° + θ), we have to consider the following important points. 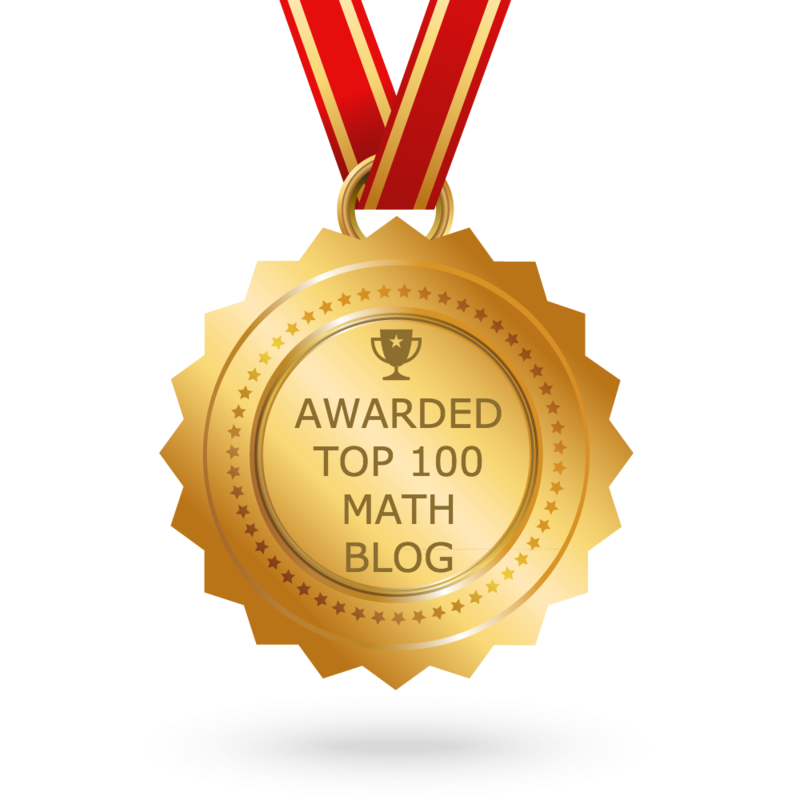 After having gone through the stuff given above, we hope that the students would have understood "Trigonometric ratios of 270 degree plus theta"
Apart from "Trigonometric ratios of 270 degree plus theta", if you need any other stuff in math, please use our google custom search here.